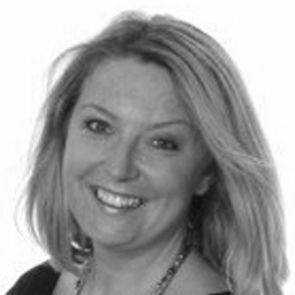 Emma has worked in the travel industry for more than 25 years, specialising in longhaul travel and luxury cruises. She is currently one of the ten highest qualified cruise consultants in the country and has been certified a Master by the Cruise Lines International Association. She's also a writer and columnist for the Travel Trade Gazette, so is always up to date with the latest trends in travel and cruising. Having sailed with almost all of the world's top cruise lines it's hard for Emma to pick a highlight, though her cruise to Alaska with Regent Seven Seas Cruises is a definite contender, as was being proposed to aboard the luxury ships of Crystal Cruises. The same cruise line also served up the best meal Emma has ever eaten, at the Nobu restaurant aboard Crystal Serenity. Emma is also a keen diver, listing Egypt's Red Sea and Malta's Blue Lagoon as two of her favourite dive sites. Emma has first-hand knowledge of: AmaWaterways, APT River Cruises, Azamara Club Cruises, Celebrity Cruises, Crystal Cruises, Cunard, Oberoi Nile Cruises, Regent Seven Seas Cruises, Seabourn, Silversea and more.